Just 1 mile south of Haslemere and close to the Surrey/West Sussex border lies Blackdown, at 280 meters it is the highest point in the county of West Sussex. This high point was going to be an easy one for me to get to as it was just a 45 minute drive away from my house in Portsmouth. 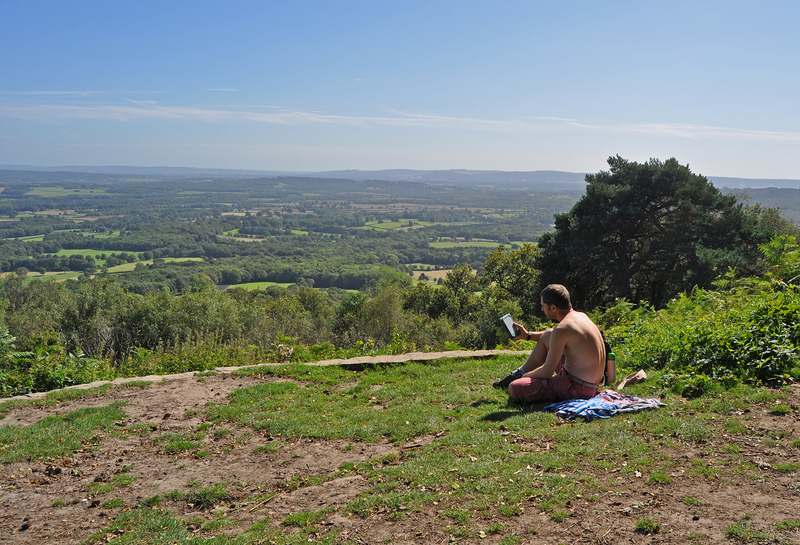 I left home with a packed lunch and set off up the A3 past Petersfield, through Haslemere and along Tennyson Lane to the car park at Blackdown. 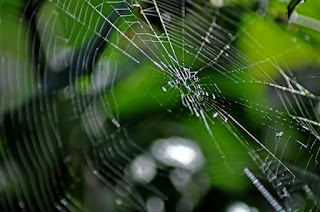 The land is owned by National trust so I planned a walk along the westerly edge of the National Trust land, then up the hill past a view point and back towards the top of the hill, then back to the car. 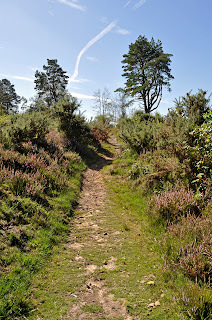 It was a rather beautiful day, clear skies with the odd cloud to add some interest and warm as well, I left the car park and followed the path into the woods which was made up of a mixture of pine trees, oaks, silver birches and other broadleaved trees, eventually I left the cover of the woodland and the path continues across some heathland where the heather was a lovely purple colour. It was along this part of the path I first noticed the lack of noise, as there are few roads in the area it was very quiet, just the sound of the odd breeze in the trees and the birds in the sky, in the distance there was the sound of the occasional plane but apart from that it was very tranquil. Soon the path entered the woodland again and headed steeply down hill and through a gate, I was now out of the National trust land but it was necessary as just 30 meters along there was another gate back into the park heading back up the hill towards the top, the climb was not too steep, ahead of me on the path there were a few rabbits and also what I think may have been a hare. Following the path I suddenly noticed something to my left me and there watching me was a red deer, this beautiful animal stood motionless and I slowly got my camera out to take a photo, its a shame I didn't have my zoom lens handy but I snapped a few shots anyway. 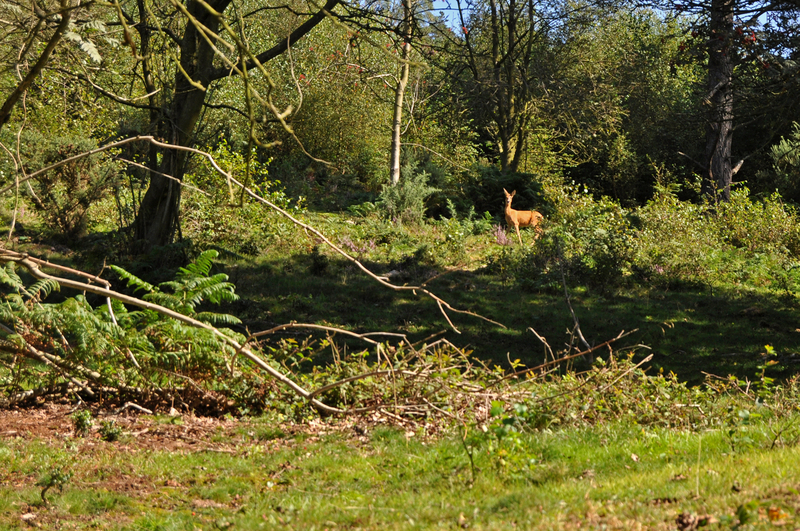 Soon the animal moved into the woodland and then there appeared another red deer behind it and they both disappeared off into the dark of the forest. Soon after seeing the deer I made it to the top of the hill when I found a handy bench facing west at an amazing view, I didn't stay here too long however and continued along the path and finally coming out at a clearing which I later found out was called the Temple of the Winds. The view was magnificent, looking south east over the village of Lurgashall and across the south downs to the coast in the far distance. I have since found out that this place was a favourite place for Alfred, Lord Tennyson, he purchased Blackdown in his latter years and would sit here for hours getting inspiration for his work. I sat here for well over an hour, eating my lunch and reading a book, I also set up my camera to take a time lapse movie (see below). 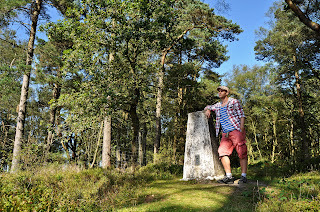 After some time it was time to continue my walk, I still had not reached the highest point in West Sussex yet. Walking away from the Temple of Winds and along a new path I reached a point just below the Highest point in the county so I headed off the main path and onto a small trail towards the point, I was unsure where the actual point was, maybe it was a hump here, or a mound over there? 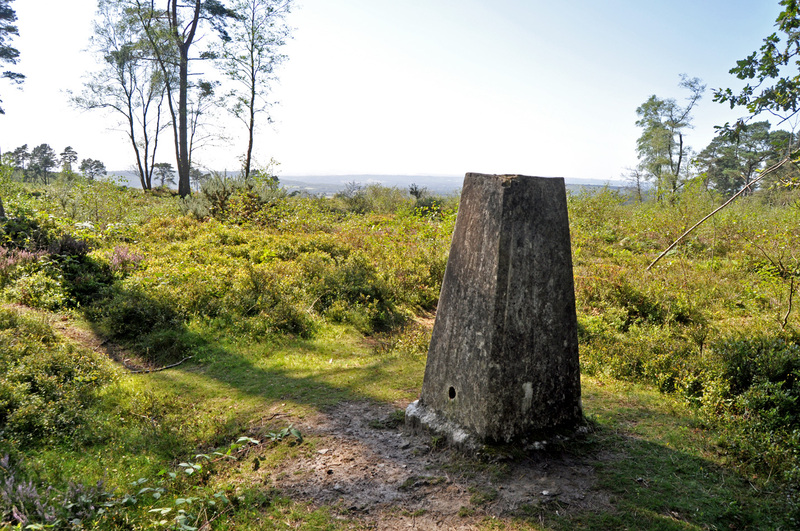 then suddenly I saw the Trig point marking the exact location, it was right on the end of the woods which was why I had missed it. 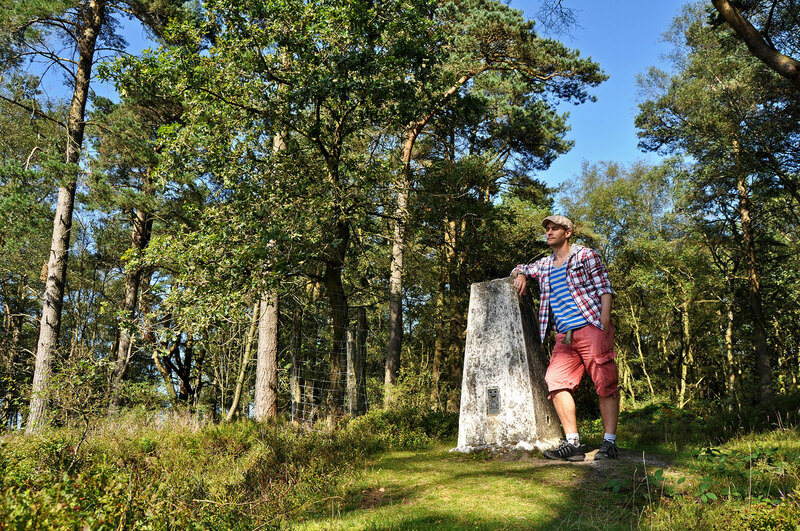 I did not stay too long at the Trig point, just enough time to take a few photos and have a small explore of the area, then it was back down to the main path to make my way back to the car park. The walk back was nice and didn't take me too long, I stopped off to take photos at various times but I was soon back at the car. 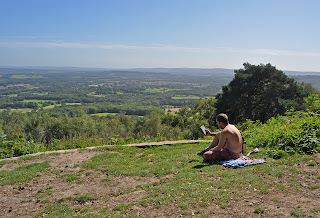 The highlight of this trip was not the highest point in East Sussex but the Temple of the Winds with its magnificent views, I could have sat there for hours enjoying the sunshine and the peace and quiet. It is amazing to think that such beautiful places are right on my doorstep, I have recently found out that it is a prime location to view the stars at night so I will be returning at some point in the future to take some photos.